The truth is so immersed in my heart . 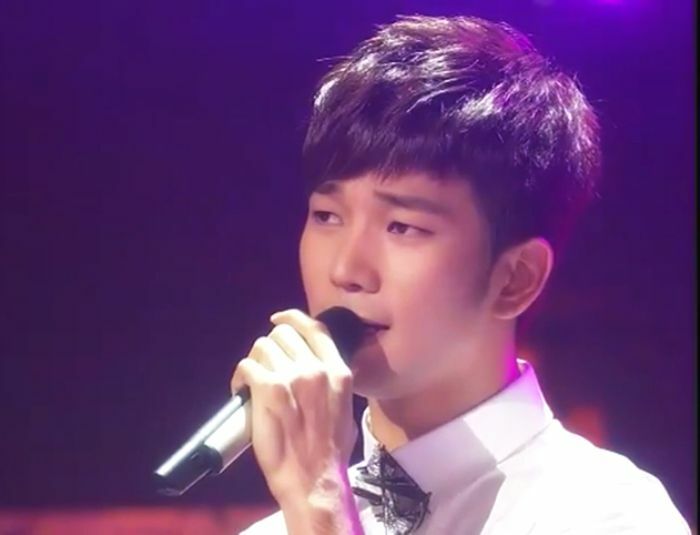 . .
After a seven month hiatus from the Immortal Song 2 stage, G.O returned on September 8, 2012, to sing Choi Sung Soo’s 후인. Borrowing the Latin flavor from Sung Soo’s 1988 original, G.O’s version stripped away the cha-cha beat, slowed it down and added a hauntingly lovely Spanish guitar. The stage was set for G.O to begin romancing the audience. Maybe it is just me, but I think you might agree that adding a Spanish guitar to a song immediately creates romance. Seated center stage, G.O begins quietly. His voice is perfect in these understated moments of a song where he is simply inviting you in, or perhaps luring you to listen to his story, his song, his heart. 후인 builds slowly, very slowly. 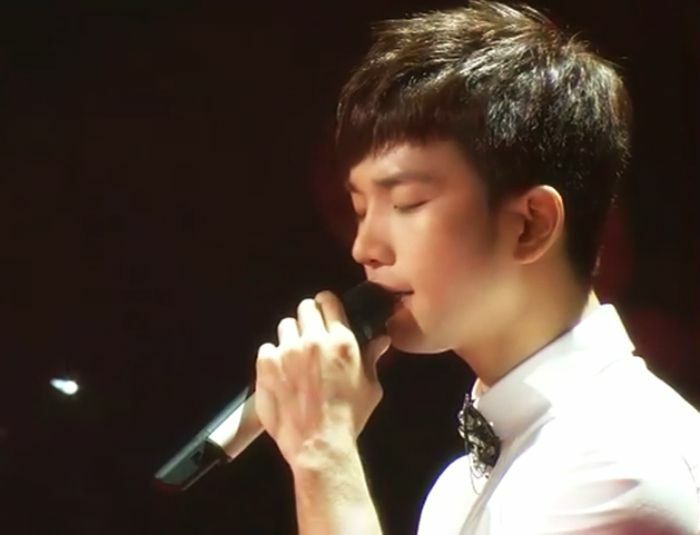 But when G.O unleashes the power and the passion, well….it is always worth the journey. I am not sure it was necessary to have back up dancers although they never seem to interfere with my enjoyment of watching G.O. When he reached for a strand of one of the dancer’s hair, I admit I squealed. He was seated at the time and not part of their choreography, yet the back of his hand stroked the dancer’s elbow as he reached up for a strand of her hair. My mind was all over the place at that moment: Was that part of the choreography? Was he supposed to do that? It did not seem rehearsed to me and felt organic and natural for him to do it which I think startled the dancer. Since her back was to him, she did not see him make the move and perhaps thought she was in his space while singing. Listen, I do not blame her if she wanted to get close. I could be completely off base, but it looked like he was caught up in the song, and it felt right for him make that move at that moment. And that Spanish guitar. Never leaving G.O’s side, a melodic foundation that embraced his voice creating both solace and romance. The two stars of this song that evening were G.O’s gorgeous voice and that beautiful guitar. 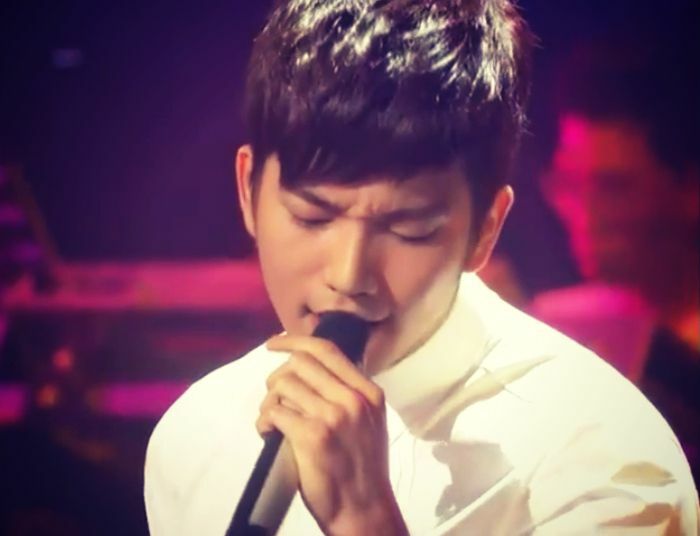 Quiet and nuanced, this was yet another wonderful performance by our incredibly gifted G.O. He may not have won legend Choi Sung Soo night, but he continued to confirm what his adoring fans have known all along, and continue to know: G.O was born to sing. 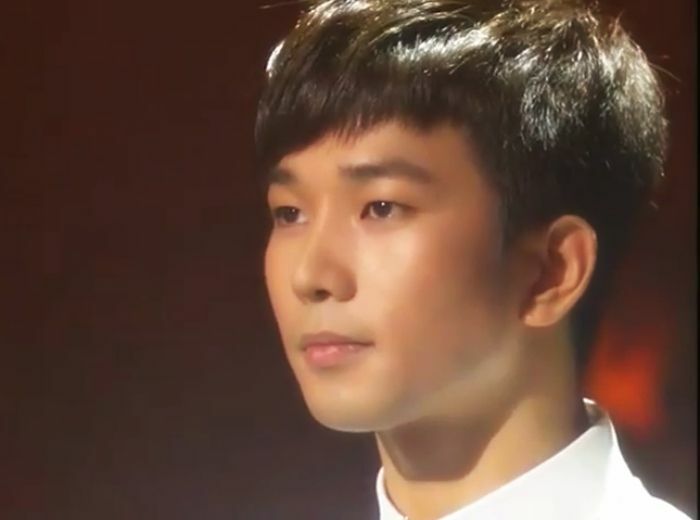 Categories: G.O Military Discharge, MBLAQ Musings, The G.O Files | Tags: Choi Sung Soo, G.O, G.O images, G.O on Music Singing Competition Shows, G.O on Television, G.O on Variety Shows, G.O's Military Service, Immortal Song 2, Jung Byung Hee, Jung Byung Hee images, Korean Music Competition Program, Korean Variety Shows, MBLAQ G.O, MBLAQ G.O images, MBLAQ G.O on Variety Shows | Permalink. I don’t think you could listen to that live and come out of in “untouched”… not only is the listener moved just watching it on video. But I think I saw a couple guys swallow hard and the girls seemed to have glistening eyes as well. I love how he consistently holds the audience captive with his performances. As I have said so many times, watching him perform is as moving as hearing him perform. So amazing!!! !